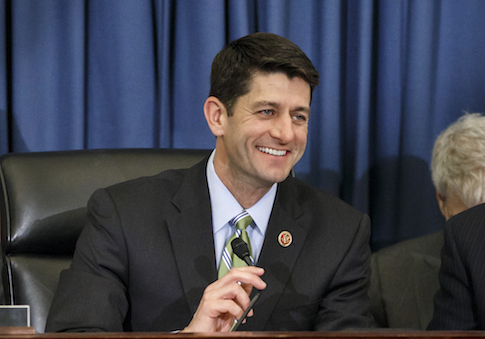 USA Today reported that Ryan received a majority of votes from the 247 Republicans in the conference in a closed-door meeting, beating out Rep. Daniel Webster (R., Fla.) for the nomination. According to lawmakers, Ryan received 200 votes and Webster won 43. Ryan will need to receive 218 votes from the full House on Thursday in order to be elected to replace outgoing House Speaker John Boehner (R., Ohio). "This begins a new day in the House of Representatives," Ryan said following the GOP conference vote. "[Speaker] John Boehner served with humility and distinction and we owe him a debt of gratitude. But tomorrow we are turning the page. … Our party has lost its vision and we’re going to replace it with a vision." "We think the country’s heading in the wrong direction, and we have an obligation here in the people’s House to do the people’s business and to give this country a better way forward," the Wisconsin lawmaker continued. "We are going to respect the people by representing the people." Ryan’s nomination comes less than three weeks after Majority Leader Kevin McCarthy (R., Calif.) dropped out of the race for House speaker, postponing the secret-ballot vote. Initially, when Boehner announced his resignation at the end of September, Ryan said he was not interested in pursuing the leadership position. However, after McCarthy’s decision, Republicans urged Ryan to run. Only after Ryan secured support from the three major House GOP caucuses did he formally launch a bid for speaker last week. Ryan, a fiscal conservative who ran as Mitt Romney’s running mate in the 2012 presidential election, would be one of the youngest speakers in history at the age of 45. This entry was posted in Politics and tagged John Boehner, Paul Ryan. Bookmark the permalink.